Reading this for the first time in 2017, the artwork is certainly not the comic’s strongest point, however it does improve and modernise when it switches over to Legends of the Dark Knight #141 but that classes as Batman: Terror which will be covered separately as they are pretty different in terms of style even if the writer’s the same. The style isn’t bad as much as it is dated, not surprising considering it was running 1990-1991. 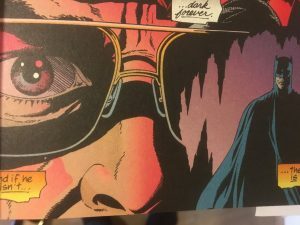 While it may have been top-notch back in the day, it doesn’t begin to compare to more recent releases and it might be harder on the eyes for someone who is not a fan of vintage reading. 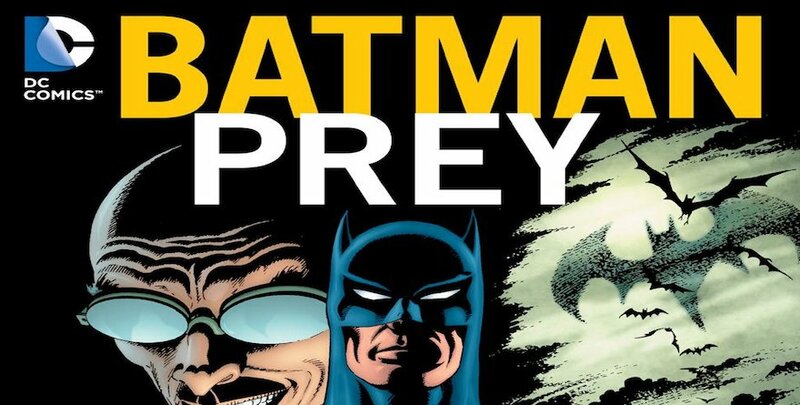 Batman: Prey collects Batman: Legends of the Dark Knight #11-#15 and #137-#141 (Terror). 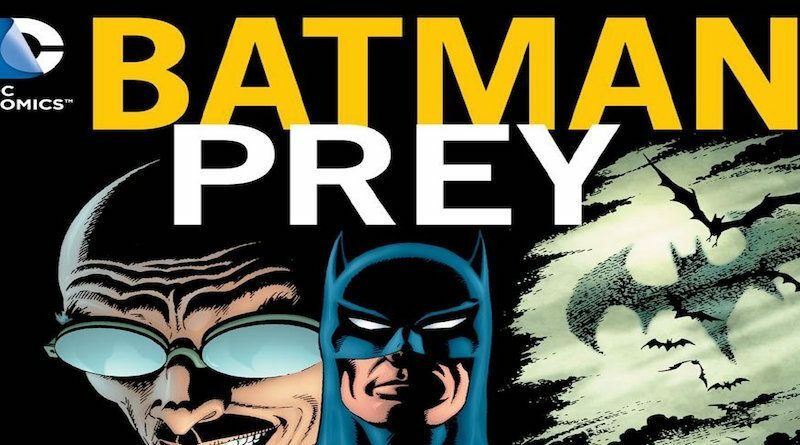 In the unofficial Batman Timeline, this book follows Batman & The Mad Monk. Going beyond the art, the storyline itself has a lot going for it. The first part, Prey, was definitely a strong start to the series. It does a good job introducing the overall plot of the comic was well as introducing key characters. It gives a good impression on what Batman is all about, making it enjoyable for both new and veteran readers. For all of the veteran readers out there, it may be interesting to point out that this is the first modern age comic featuring a reimagined Hugo Strange. It delves deep into his origins as a renowned psychologist and the obsession with Batman that made who he is today This was an awesome and fresh way to reintroduce one Batman’s earliest foes and his humble beginnings. This first plot offers you a little look into his obsession with Batman as a controversial role in Gotham City leave his public image strained and many want to see him taken down like a villain. As Strange begins to spiral, Dark Sides tends to focus more on the side characters and even introduces some “fun” themes. 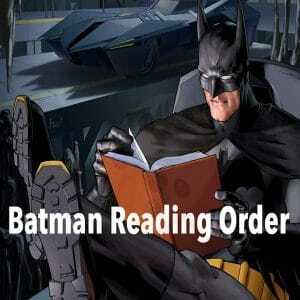 It seems the media and legal officials will become just as much an adversary to Batman as any villain. This chapter is particularly lacking in some of the more action-packed scenes, but makes up for it by having well-thought out plot scenes and clever side stories that will keep readers entertained. This chapter may not be as exciting for readers who are looking for more fight-scenes than plot, but if you are bored already, you are still going to have to wait a bit before the action picks up. At this point, the story is becoming more and more of the psychological thriller that Batman has become known for. A solid point for me, albeit not for everyone. While there was a lot of awesome content before, Night Scourge is where the storyline really begins to escalate. For anyone that was starting to miss some action, these fight-scenes have everything you are looking for without skimping out on the plotline. These great scenes make is a must-read for people that love a good storyline, so I won’t spoil anything. The fight scenes themselves are rather straightforward, and not as complex as some of the ridiculous brawls that comic books have today. That being said, the artwork is able to properly capture everything as it’s not overly complex. Keeping up with the storyline, however, is something that is a little more complicated and involves a lot of paying attention. This is where the intense plot begins to climax and you see the character dynamic and development that will determine the rest of the story (as well as play a big role on how future writers would use the characters). That being said, everything seems to be going wrong for Batman by the time of The Nightmare. If you like a good vigilante story, this would be the part for you as it seems that everything is going wrong for Batman. This chapter manages to fit in a lot of symbolism that gives us a deeper view of Batman’s psyche that we hardly got to experience in earlier renditions. 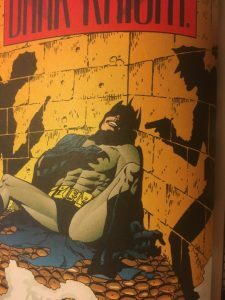 This offers a much different view of him than in other Batman comics of the time such as Frank Miller’s The Dark Knight Returns. While this rendition certainly keeps things dark in its own way, this gives Batman a little more humanity which I personally prefer. It gives you the rare opportunity to see Bruce in a low place, you even begin to sympathize with him and get more emotionally invested into the story. 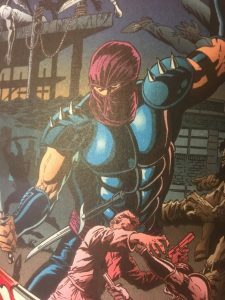 As I really try to stay away from giving any major spoilers, all I can say about the final part of the comic, The Kill, is that it gets really close. This chapter will have you at the edge of your seat the entire time as the action scenes and plot keep you begging for more. You will spend the whole time hooked as you wonder how it’s all going to end. With everything that went on in the last chapters, there was a lot to address and I really hoped for a more complete ending. It wasn’t necessarily bad, but I feel they wrapped up too much, too quickly. While they did leave some things open for interpretation and continuation, I would had hoped for another chapter or something to that things got solved more but I suppose that’s what Batman: Terror was made for. Overall, I really enjoyed this comic a lot and would give it a 4.5/ 5. This retro classic is everything you’d want from a good psychological thriller. That being said, this is not one of the comics you can just skim through, you really need to focus on it. 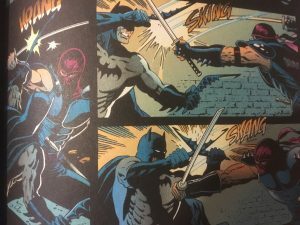 The action scenes don’t compare well to other comic series in their frequency or complexity, but certain scenes more than made up for it. The plotline itself was strong throughout the book, and while the ending left me a little underwhelmed, I was very satisfied overall. I would highly recommend this book for any comic enthusiast who can look past dated artwork for an awesome story. In the unofficial Batman Timeline, The Man Who Laughs follows this book.